Season 2 of Sense of Place will premiere on YouTube on December 19th as host, Matt Landau takes us around the globe showcasing passionate owners and managers and their fabulous locations. Matt made a brief appearance at the VRMA conference in Las Vegas in October with a trailer of the new series, sponsored this time by Booking.com. With more international locations on the show, reflecting Booking’s wider reach, we are in for a treat as Matt visits Bali, Uruguay, Brazil, the Caribbean island of St John, Lisbon, Budapest, Bowen Island and Lindsborg, Kansas, plus two more destinations that weren’t yet filmed when we spoke. 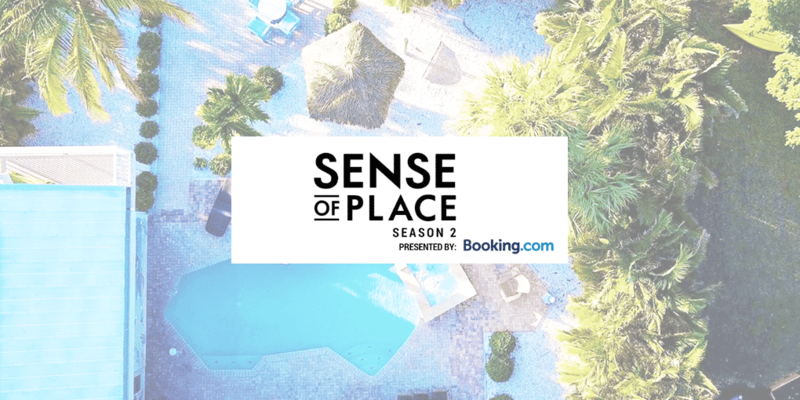 With the premise that Sense of Place explores destinations through the lens of the vacation rentals Matt stays in, he dives right into the culture of each place. From running a half-marathon in Budapest to getting to the heart of hurricane recovery operations in St John, to exploring a US town where they teach Swedish in school, Matt experiences the heart of every location. When Season 1 was filmed, Matt’s mom advised him to write an essay on each place he visited, so he didn’t allow any aspect of the stay to be forgotten. He’s continued to do that and gives credit to that advice for the powerful recall he has of each experience. In this episode, he recalls each unique destination with a single takeaway that will whet your appetite for watching the entire series. Concierge services and how they can make a vacation extraordinary. The role vacation rental owners play in recovery from disaster.